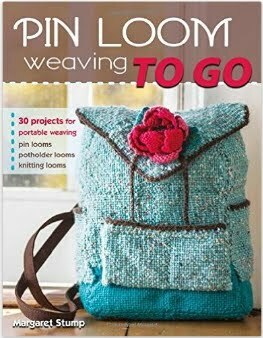 We know Florencia Campos Correa as the author of 100 Pin Loom Squares: 100 Exciting Color Combinations to Try, Plus 15 Stylish Projects. Florencia was kind enough to get in touch and share information on her newest project, bias woven pin loom clothing patterns to be made with her own modifiable pin loom boards. 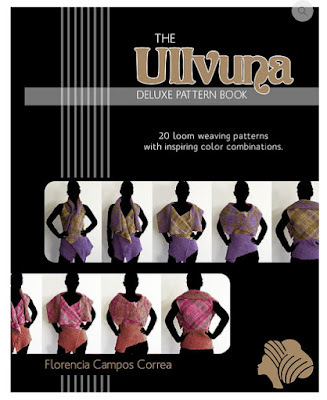 Check out her unique pin looms as well as the exciting patterns at her website: www.Ullvuna.cl. Florencia noted, "I am dedicated to converting my Ullvuna designs, my seven year brand of knitwear, to DIY kits." 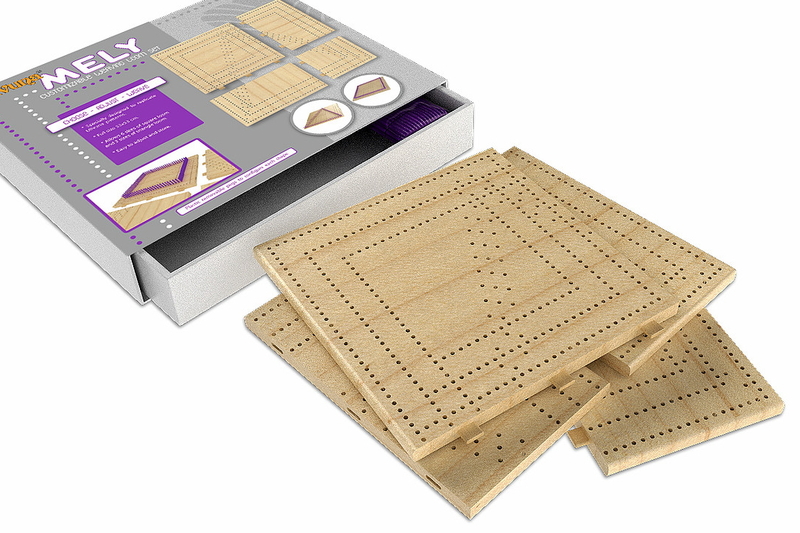 The Ullvuna Mely is a customizable weaving loom set that lets you weave a variety of sizes of squares and triangles using a continuous weave or bias weave process to make easy to wear styles. 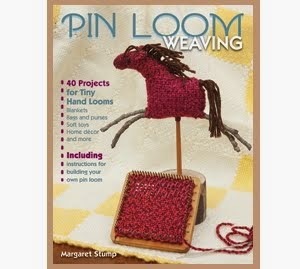 Check out Florencia's site for a new FREE 4" pin loom weaving pattern. This pattern uses a traditional weaving pattern on the pin loom (laying down all the warp, weaving through all 32 lines to produce this "Heart Stitch" pattern. Florencia noted that she is a native of Chile. Her website and this pattern are available in both Spanish and English. Thank you, Florencia, for sharing your delightful pin loom patterns and fashions.